PHILADELPHIA — Ian A. Blair, PhD, an internationally recognized expert on applying mass spectrometry, which measures the characteristics of individual molecules, to biomedical problems and drug development, has won the 2017 Founders' Award from the Division of Chemical Toxicology of the American Chemical Society. Blair, who has held scientific appointments on five continents, is the A.N. Richards Professor of Pharmacology and director of the Center for Cancer Pharmacology at the Perelman School of Medicine at the University of Pennsylvania. The award recognizes Blair's "outstanding contributions to the field of chemical toxicology," in particular, his work on biomarkers, which identify people at risk for certain diseases, increasing chances of successful treatment. Chemical toxicology is the study of the harmful effects of chemicals on living organisms. Among his accomplishments, Blair pioneered the use of mass spectrometry to identify biomarkers for carcinogenesis, cardiovascular disease, and neurodegeneration. In addition, he invented a mass spectrometry technique for high-sensitivity, quantitative analyses of chiral molecules, called electron capture atmospheric pressure chemical ionization. His current research involves the former Superfund site in Ambler, PA and developing serum biomarkers for asbestos exposure and mesothelioma. Blair is the director of the Penn Superfund Research and Training Program Center, which was established in 2014. Blair's international academic appointments include positions at Makerere University in Kampala, Uganda; Adelaide University in Australia; Royal Postgraduate Medical School in London; Vanderbilt University; and Kanazawa University in Japan. He is a fellow of the American Association for the Advancement of Science and the American Association of Pharmaceutical Scientists. 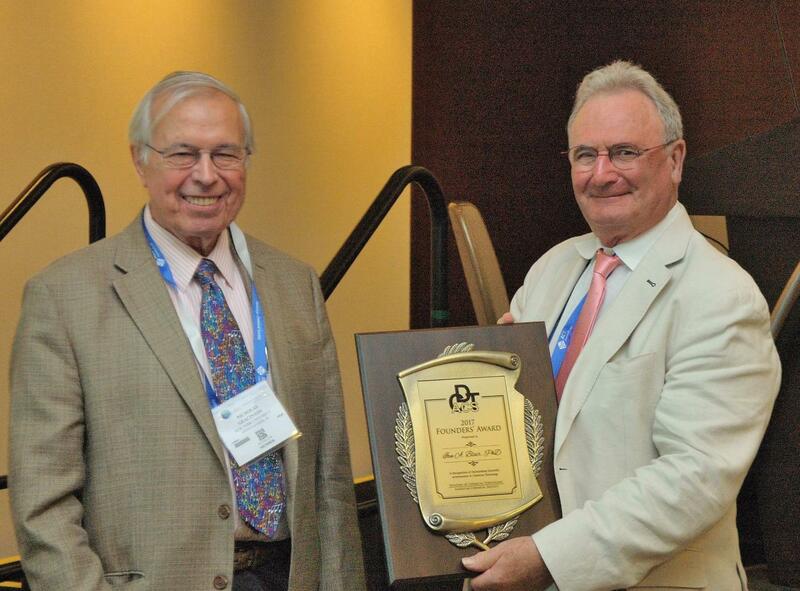 His awards include the Eastern Analytical Award for Outstanding Achievements in Mass Spectrometry. Blair is senior editor of Future Science Open and is on the editorial boards of Molecular and Cellular Proteomics, Journal of Lipid Research, and Steroids. He has published over 380-refereed manuscripts, which have been cited over 17,000 times, including a seminal paper in Science in 2001 demonstrating that excessive vitamin C can induce the formation of genotoxins, which have destructive effects on a cell's genetic material. Blair received his PhD in organic chemistry in 1971 from Imperial College of Science and Technology, London, under the mentorship of the 1969 Nobel Laureate, Sir Derek H.R. Barton.